One thing that I’ve learned about myself as a reader, and a professional book worm, is that I love anything and everything about thriller and suspense books. From the author’s subtle integration of hints and clues to the twists and turns around every corner of the plot- once I pick up a mystery I can never put it down. Now just a warning: this book is not for the faint-hearted. It’s most definitely one of the most intense thrillers I’ve ever read. If you’re one of those people who can’t even handle an episode of NCIS, don’t even attempt to read this book. On the other hand, if you love thrillers as I do then “Sharp Objects” by Gillian Flynn is the perfect book for you. Now I’m going to be honest, when I read the first couple of chapters I thought it was kind of slow and I wasn’t really provoked to read the rest of it. However, that quickly changed as soon as I was introduced to the characters, which is what makes this book so twisted. “Sharp Objects” follows the story of reporter Camille Preaker, who is sent to her small hometown of Wind Gap, Missouri, to cover a story of the recent murders of two little girls. Just to give you an idea of how small Wind Gap is, take the smallest town you can think of and shrink it down by 10 and take out anything interesting. That’s Wind Gap. While most journalists would jump at the task to cover a hot new story and reconnect with old friends and family, Camille would rather do anything else. However, her boss wants to jump at the chance to cover this story due to the tiny newspaper slowly sinking in the competition. Fast forward a couple of pages and we’re introduced to Camille’s family: her mom, half-sister, and step-dad who are easily the creepiest people ever. I don’t want to reveal too much about the characters because that’s really where the shock and suspense factors come in, but I will tell you that they’re chilling. Flynn does an excellent job making her characters so human-like yet so unnerving at the same time. She cleverly uses this tactic again and again such as in her previous novels “Gone Girl” and “Dark Places” which is essentially what makes her writing so captivating. One thing that I think could’ve been left out was the multiple love interests that Camille had. While I understand the desire for some sort of steamy romance in a book, can’t we just have a story where a guy doesn’t get in the way? 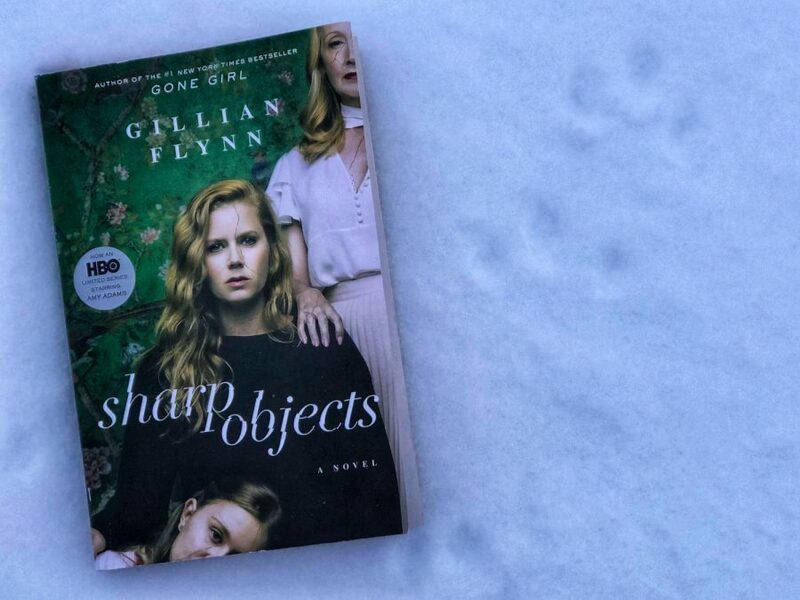 If you’re looking for a raw, suspenseful thriller then look no further than “Sharp Objects.” If you don’t have the time to sit down and start a book you’re in luck! It’s been adapted into an exclusive HBO series. Whichever way you decide to experience it, make sure you have someone else in the house with you. Here’s the trailer for the “Sharp Objects” T.V series!